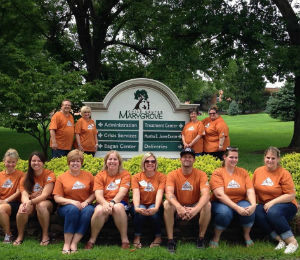 A few years ago, South Side Church of God in St. Louis, Missouri, poured significant resources into marketing their summer Vacation Bible School. VBS attendance had waned, and nearly all participation came from the children of the church. They determined to make sure every family in the area knew about VBS at South Side. After hand-delivering 1,500 flyers to homes in the community, reality hit them square in the face. Not uncommon to cities across the country, it seemed that the church on every corner was holding a VBS. South Side was in competition with the other, larger churches with bigger budgets and more to attract children. That summer, two families ended up coming from the community—and they only came because they mistakenly thought they’d come to a church down the street from South Side. Maybe there was a better way. Maybe God was calling South Side Church of God to take VBS on the road. But where would they go? Where could they make the greatest difference? As the VBS team met to discuss the possibilities, they weren’t sure where they should go, but they knew the “why” was definitely because Jesus is the subject. After concerted prayer, one of the team members suggested contacting an acquaintance in the juvenile court system. After making their way through several hoops, they discovered Marygrove Children’s Home, a home for victims of child abuse. Yes, God knew what he was doing. Through the music, the videos, the interactive lessons, the science projects, the food, and the games, the kids of Marygrove Children’s Home were captivated and enthusiastically involved. On one special day during VBS, the team brought in therapy dogs from the CHAMP Assistance Dogs of St. Louis organization to entertain and cheer the children. The children gleefully embraced and played with the pets, and for a few precious moments, pushed their worries, fears, and painful histories to the side. The love of God through the South Side VBS team was on full display, and the children absorbed every ounce of it. This entry was posted in All Church of God, Central and tagged Bruce Hunter, child abuse, children's ministry, kids, Mary Jo Hunter, Marygrove Children's Home, Missouri, outreach, South Side Church of God, St. Louis, Vacation Bible School, VBS. Bookmark the permalink.